Protective psychosocial factors may reduce the risk of stress-related illnesses in policing. We assessed the association between protective factors and depressive symptoms among 242 police officers. Participants were from the Buffalo Cardio-Metabolic Occupational Police Stress (BCOPS) Study (2004–2014). Coping, hardiness, personality traits, and social support were assessed at baseline. Depressive symptoms were measured at baseline and follow-up using the Center for Epidemiologic Studies-Depression (CES-D) scale. The relationship between protective factors and the rate of change in depressive symptoms was assessed using linear regression. Logistic regression evaluated associations between protective factors and new-onset depression. Of participants free of depression at baseline, 23 (10.7%) developed probable depression during the follow-up. Odds of new-onset depression increased with increasing neuroticism (adjusted odds ratio [ORADJ] = 1.22, 95% confidence interval [CI], 1.11–1.35) and passive coping (ORADJ = 2.07, 95% CI, 1.06–4.03). Increasing agreeableness (ORADJ = 0.87, 95% CI, 0.78–0.96) and conscientiousness (ORADJ = 0.90, 95% CI, 0.84–0.98) were associated with decreased odds of new-onset depression. New-onset depression was not significantly associated with other coping subscales, hardiness, or social support. There were no significant associations between protective factors and change in depressive symptom scores. 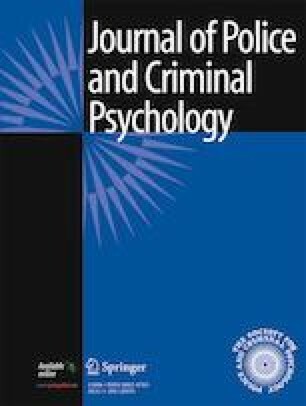 This study suggests certain personality characteristics and passive coping may be associated with increased odds of new-onset depression in police officers. This work was supported by the National Institute for Occupational Safety and Health contract number 200-2003-01580 and grant number 1R01OH009640-01A1. The findings and conclusions in this report are those of the authors and do not necessarily represent the views of the National Institute for Occupational Safety and Health, Centers for Disease Control and Prevention.